I am a music minister at Christ The King Parish in Seattle, Washington. We recently began introducing this new setting of the mass to the community and it has caught on extremely well. I will be making the entire mass available with keyboard accompaniment and optional C Instrument descant parts as well very soon. I am also in the process of recording the parts of the mass and in a future blog the audio files will be available for listening. 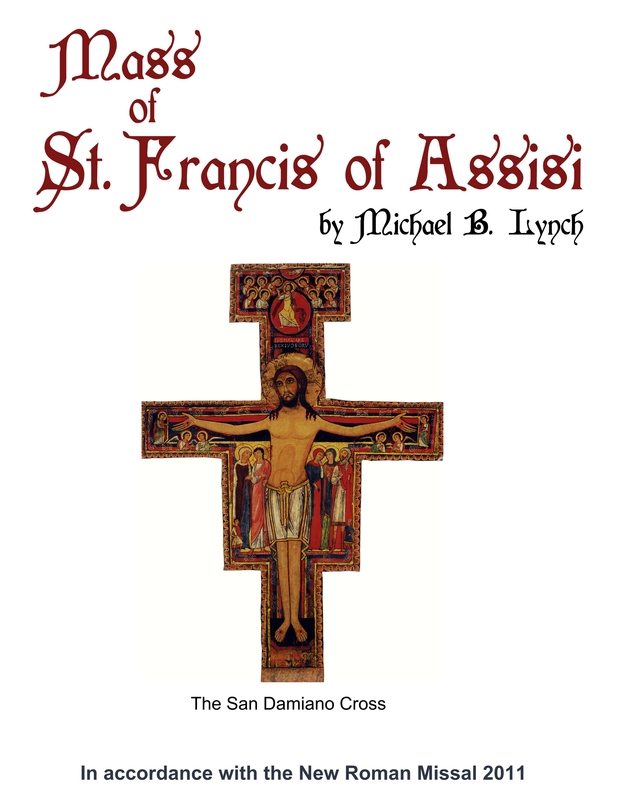 . .
Below are PDF files of the “The Mass of St. Francis of Assisi” in Leadsheet / Chordal accompaniment format. . . Licensing includes Leadsheets with Chordal accompaniments, Full Keyboard accompaniments, Trumpet / C Instrument descant parts, Congregation edition for reprint . . . This entry was posted in Mass Settings.